Born: 8 September 1853, Shimla, Himachal Pradesh, India. Died: 29 December 1928, Godalming, United Kingdom. Charles Herbert Theophilus Metcalfe was the only child of Sir Theophilus John Metcalfe, of the Bengal civil service, and his wife Charlotte, born Low. From 1867 Charles attended the well-known school at Harrow, north-west of London, and from 1874 to 1878 studied law and history at University College, Oxford, qualifying as Master of Arts (MA). He was then articled to the engineering firm of Sir Douglas Fox & Sons during 1878-1881, after which he worked as resident engineer on various railways in England. He became an associate member of the Institution of Civil Engineers in 1885, a member (MICE) in 1897, and served on the institution's council from 1904 to 1906. He inherited his father's baronetcy in 1883. Metcalfe lived and worked increasingly in South Africa during the eighteen-eighties, initially for Fox, but later as a partner in Fox & partners. Among others he was in charge of surveying the route for the railway line between Kimberley and Vryburg. During this time he became an associate of the imperialist Cecil J. Rhodes. In subsequent years, as consulting engineer to the British South Africa Company, he helped to realise Rhodes's dreams of expanding British influence northwards from South Africa, by planning railways that contributed to the development of the subcontinent. For example, he surveyed the route and supervised the construction of the railway line to Bulawayo, in present Zimbabwe, which reached that town in October 1897. He maintained his association with Rhodes until the latter's death in 1902 and they often travelled together in Zimbabwe. During these and subsequent years Metcalfe contributed to the design and supervised the building of the Victoria Falls Bridge (completed in 1904), and supervised the further northerly extension of the railway to the border of the Democratic Republic of the Congo, which was reached in 1909. There was not enough traffic in Zimbabwe to make the line financially viable, but it was saved by its extension to the copper mines in Katanga. Meanwhile Metcalfe was also involved in planning the line from Beira to Salisbury (now Harare, reached in May 1899) and its link to Bulawayo in October 1902. From 1903 he was consulting engineer for the construction of the Benguela Railway, which started at Lobito on the Angolan coast that year. He traversed the whole intended route to the Congo border, to a large extent on foot. He was also consultant for the line from Beira northwards into present Malawi. He became a director of the Rhodesia Railways Trusts and was a director of the Victorial Falls Power Company (later the Victoria Falls and Transvaal Power Company) from its registration in 1906 to his retirement in 1914. In that year he returned to England and settled near Godalming, spending his time on gardening and experiments in colour photography. On 2 July 1901 Metcalfe chaired a meeting in Cape Town at which an earlier proposal by Theodore Reunert* was adopted to hold an annual congress of South African engineers. During subsequent discussions, in which scientists were also involved, it became clear that the interests of everyone could best be met by the formation of an association similar to the British Association for the Advancement of Science, which would hold an annual congress. Thus the South African Association for the Advancement of Science was born. The first office bearers were elected on 20 January 1902, with Metcalfe as one of the association's four vice-presidents, and president of Section C (which included engineering). He succeeded David Gill* as president of the Association for 1903/4. 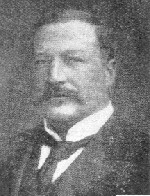 Metcalfe was a member of the Cape Society of Civil Engineers from soon after its formation late in 1902 and by 1913 was a life member of its successor, the South African Society of Civil Engineers. In 1903 he also joined the Rhodesia Scientific Association, founded in Bulawayo in 1899. He was a cheerful and optimistic man and a noted raconteur, athletic in his younger years and a great walker, as much of his survey work was carried out on foot. Cape Society of Civil Engineers. Minutes of Proceedings, 1903-1907, Vol. 1-5, lists of members. Charles Herbert Theophilus Metcalfe. Grace’s Guide to British Industrial History. Retrieved from https://www.gracesguide.co.uk/Charles_Herbert_Theophilus_Metcalfe on 2018-10-19. Plug, C. The origin and early history of S2A3. S2A3 Rudolf Marloth Brochure, centenary edition, 1902, pp. 4-8. Rhodesia Scientific Association. Proceedings, 1906, Vol. 6(1), list of members.